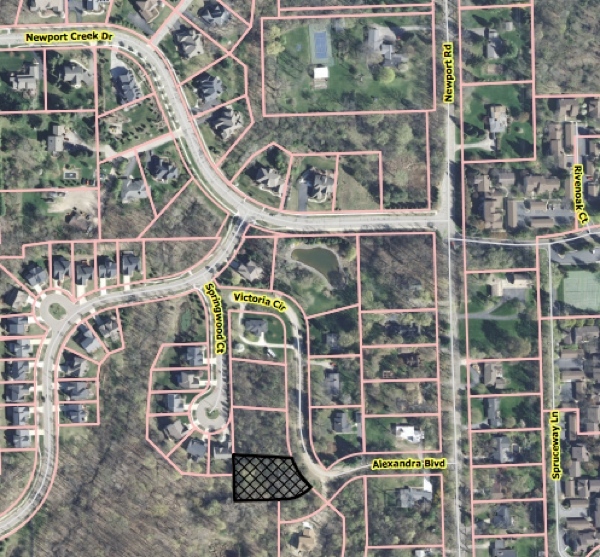 Ann Arbor planning commissioners have recommended the annexation and zoning of 2115 Victoria Circle, a 0.5-acre vacant site west of Newport and north of M-14. The action came at the commission’s Aug. 19, 2014 meeting. If approved by the city council, the property will be annexed from Ann Arbor Township and zoned R1A (single family dwelling). The owner, Abayomi Famurewa, wants to build a single-family home there and connect to the city’s public water and sanitary sewer service. The staff report notes that the city’s storm sewer system does not extend to that area at this point.